The "Panerai fleet" is open to sailing vessels with a minimum waterline of 20', designed on or before 1970 and built using original methods and materials; wood, steel, or aluminum. The "Classic GRP"- (Glass Reinforced Plastic) - is for boats built of fiberglass and designed during the CCA era (on or before 1970). The "Spirit of Tradition fleet" is for those yachts designed with the intent to evoke traditional clean classic lines above the water line and modern underbodies below, and built after 1970. A full set of Panerai Series and Corinthian Classic Yacht Regatta rules will appear on the website shortly. 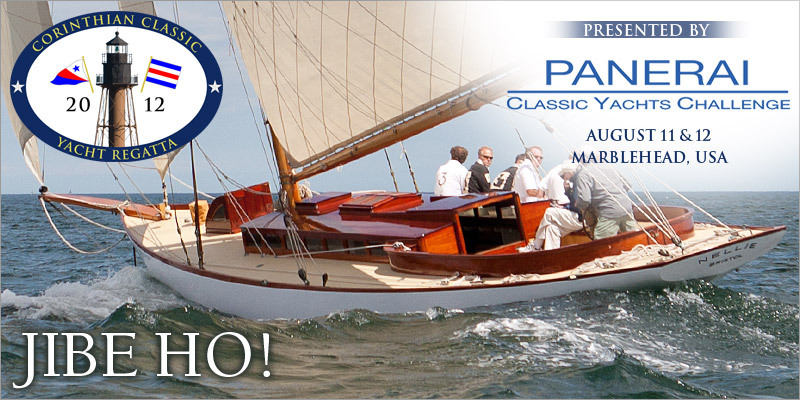 Don't miss the opportunity to be a part of a classic yachting event - one of the fastest growing segments of yacht racing today. Join us in Marblehead for the Corinthian Classic on August 11th and 12th and in the spirit of Stanley Rosenfeld, we'll make sure that you get a great 8 x 10 photo of your boat.